Depression era pattern available in several shapes. Most can be purchased for $20 or less. 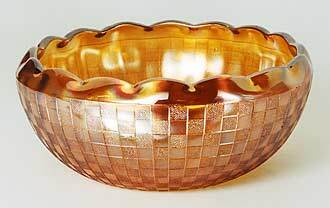 This rosebowl is from a private collection. These are frequently sold with other items (box lot) because of their value.